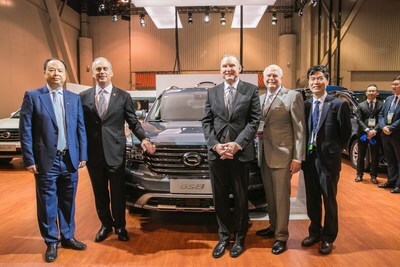 LAS VEGAS, March 30, 2018 /PRNewswire/ — GAC Motor, China’s fastest-growing automaker, made a strong first impression with North American auto dealers with a successful debut at the National Automobile Dealers Association Show (NADA). 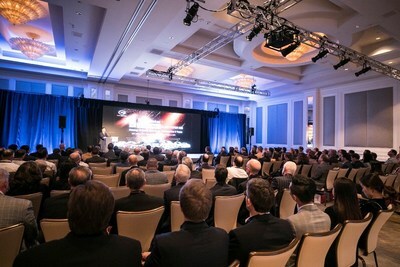 The company showcased a star lineup of best-selling vehicles and held a dealer gathering to attract solid dealer interest for the company for its North American dealership network. At the show, the presence of GAC Motor’s flagship SUV GS8, blockbuster compact SUV GS4, newly launched sedan GA4 and high-end minivan GM8 attracted much attention from the crowds. The high-quality vehicles highlight the company’s latest achievements in independent research and development and cutting-edge technologies. 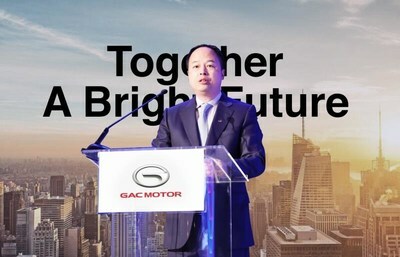 In addition, more than 150 distinguished guests, including dealers and investors as well as important leaders from industrial events and associations from not only various states in the United States but also Canada, attended GAC Motor’s dealer gathering during NADA. GAC Motor is expected to be the first new car brand to enter the US market in 20 years. Many dealers present at the event said they were fascinated by the possibility of having a new brand in the US that had a proven record in its home country. They spoke highly of the GAC Motor product lineup and wished the Guangzhou carmaker well with their development plans. Founded in 2008, Guangzhou Automobile Group Motor CO., LTD (GAC Motor) is a subsidiary of GAC Group which ranks 238 among the Fortune Global 500 companies. The company develops and manufactures premium quality vehicles, engines, components and auto accessories. GAC Motor has now ranked first among all Chinese brands for five consecutive years in J.D. Power Asia Pacific’s China Initial Quality Study SM (IQS), demonstrating the company’s quality-centric strategy from innovative research and development (R&D), manufacturing to supply chain and sales & services.